What Bracha do you make on an Acai Bowl? 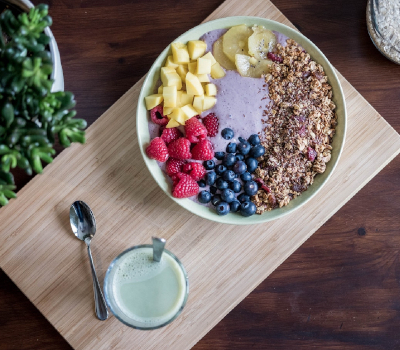 An acai bowl is served as a smoothie in a bowl or glass, and is commonly topped with granola and banana, and then mixed with other fruits and guaraná syrup. Since the fruit is pureed, its Bracha is Shehakol. The toppings would not get their own Bracha since they are considered Taffel (secondary) to the mixture in the bowl.